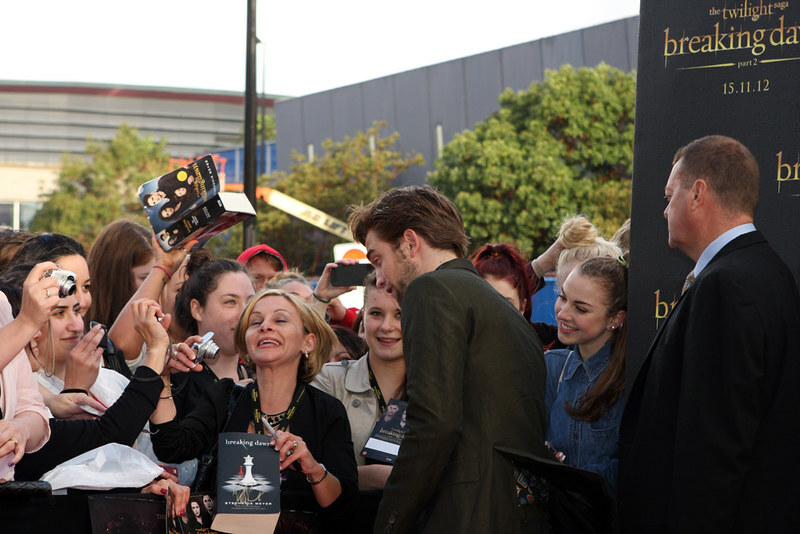 HOYTS DISTRIBUTION is thrilled to announce that ROBERT PATTINSON, star of the upcoming release of THE TWILIGHT SAGA: BREAKING DAWN – PART 2 will be coming to Australia to promote the final instalment in the global phenomenon. The astonishing conclusion to the TWILIGHT SAGA franchise, THE TWILIGHT SAGA: BREAKING DAWN – PART 2, illuminates the secrets and mysteries of this spellbinding romantic epic that has entranced millions. Academy Award® winner Bill Condon directed both the first and second part of the two-part finale starring KRISTEN STEWART, ROBERT PATTINSON and TAYLOR LAUTNER. The film, based on the fourth novel in author Stephenie Meyer’s "Twilight" series, was written by MELISSA ROSENBERG with WYCK GODFREY, KAREN ROSENFELT and STEPHENIE MEYER producing. THE TWILIGHT SAGA film series stars Kristen Stewart, Robert Pattinson & Taylor Lautner and tells the story of 17-year-old Bella Swan who moves to the small town of Forks, Washington to live with her father, and becomes drawn to Edward Cullen, a pale, mysterious classmate who seems determined to push her away. But neither can deny the attraction that pulls them together…even when Edward confides that he and his family are vampires. The action-packed, modern day vampire love story TWILIGHT, the first film in the series, was released in Australian theatres on December 11, 2008 to a blockbuster reception. The second instalment of the film franchise, THE TWILIGHT SAGA: NEW MOON was released November 19, 2009, the third instalment, THE TWILIGHT SAGA: ECLIPSE was released July 1, 2010, and THE TWILIGHT SAGA: BREAKING DAWN – PART 1 was released on November 17, 2011. In July 2012 STUDIOCANAL acquired HOYTS DISTRIBUTION Pty Ltd, one of Australia & New Zealand’s leading independent film distributors. Hoyts Distribution has been operating a successful film distribution business in Australia and New Zealand for over 10 years, becoming one of Australia’s leading independent film distribution companies. Hoyts Distribution boasts a film library that contains over 120 titles, including four films from the highly successful SAW series and all of the films from the enormously popular Twilight franchise, including the final instalment, The Twilight Saga: BREAKING DAWN – PART 2, which opens in cinemas November 15. Dozens of news media, most well behaved, some not. RP’s Twilight co-stars are making their own global appearances. Kristen Stewart is reportedly jetting off to Japan, while Taylor Lautner heads to Brazil. The whole crew will then gather for the Los Angeles premiere in mid November – the first red carpet together for Pattinson and Stewart since their cheating scandal earlier this year. The Twilight Saga: Breaking Dawn Part 2 is in cinemas from 15th November. Image published by Eva Rinaldi Celebrity and Live Music Photographer on 2012-10-22 09:34:37 and used under Creative Commons license. Great opportunity yesterday on @KABC7 to discuss positive direction of @LASDHQ.